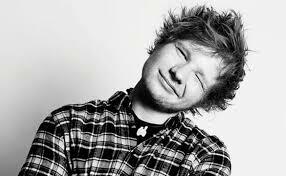 The singer's name is Ed Sheeran. He 's 26 years old and he's from England. Our favorite song is SHAPE OF YOU. His songs are lively and funky. We find the melody nice but once the words translated it is a little vulgar. Our singer is a song writer. This artist plays the acoustic and electric guitars. He plays the drums, the violin, the cello and the piano. The lyrics are hopeful. His genre is pop, grime, folk and rock. He started in 2005.